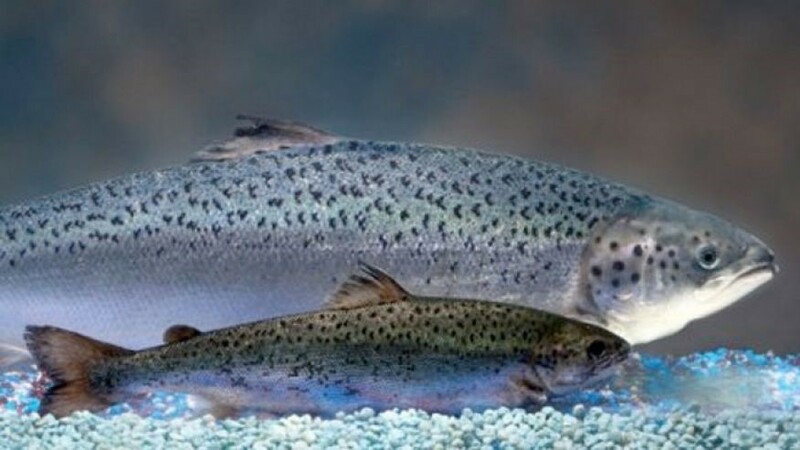 There is big news in the world of biotechnology…in 2015 the Food and Drug Administration (FDA) approved genetically engineered AquAdvantage® Salmon for human consumption, and in March of 2019 lifted its import ban on the fish, pending finalization of labeling guidelines for bioengineered foods. Salmon is now the first genetically modified animal to be approved for human consumption. Naturally, there are many questions about the new uses of genetic engineering (GE) in food, and we'd like to help answer some of those now. 1: What is the AquAdvantage® salmon? This fast-growing salmon is a genetically engineered salmon that grows to market size in half the time as conventional Atlantic salmon. This salmon grows to market weight in about 16 to 18 months vs. 32 to 36 months for conventional salmon. This salmon contains a growth hormone gene from the fast growing Pacific Chinook salmon and a promoter sequence (a fragment of DNA) from the ocean pout. Combined, the gene and promoter sequence, which acts like an “on” switch, enable the salmon to grow year-round instead of seasonally like wild or farmed salmon. Research on genetically engineered salmon started in the mid-1980s. After years of research, access to a growth hormone gene and identifying the DNA sequence, the first transgenic salmon was created in 1989, but it wasn't until almost twenty years later, that the FDA approved this salmon. A genetically engineered AquAdvantage salmon (background) alongside an Atlantic salmon of the same age (foreground) . 2: Why genetically engineer salmon to grow faster? Salmon is one of the most popular fishes available. As of 2014, salmon is the second most consumed seafood in the U.S. Salmon are either caught in the wild through commercial fishing or they are raised via aquaculture (fish farming). Since the 1990's, there has been a decline in wild Atlantic salmon populations. 3: What's responsible for the decline in wild salmon? 90 percent of the world's fisheries are either fully exploited, over-exploited or have collapsed (Ref.). And large fish, like salmon, are the first to go. In addition to overfishing, pollution, environmental changes, habitat deterioration and disturbances of migration routes have all contributed to the reduction of salmon populations to dangerously low levels. Many salmon populations have disappeared completely. And yet seafood consumption will nearly double by 2050. This means that farmed fish production will likely need to increase by 133 percent to meet projected fish demand worldwide. GM salmon will provide a sustainable and fast-growing alternative to wild salmon and enhance the production of farmed salmon. 4: Is the AquAdvantage® salmon safe? 5: Even though it’s FDA approved, isn’t this fast-growing salmon a “Frankenfish”? As the American Council on Science and Health points out, “the term ‘Franken’ is thrown in front of a lot of biology that anti-science activists distrust and fear because they do not understand.” Scary terms and incorrect labels about GMOs are an easy way to create fear and doubts around the safety of GMOs. But if we remove the label “Franken” and take a deep dive into biotechnology in the context of the term “Franken,” you will learn that it’s not that scary and that it’s only science and innovations. In this post from The American Council on Science and Health, it helps clarify the term “Franken” in the context of GMOs and biotechnology. 6: How does this salmon impact the environment? Conserve wild fish populations. The AquAdvantage® salmon grows to market-size using 25 percent less feed than any Atlantic salmon on the market today. This means that it requires less wild fish to be converted into salmon feed – which conserves wild fish stocks. Using GE ingredients to replace fishmeal and fish oil requirements in fish feeds are helping aquaculture to be even more sustainable. Reduce carbon emissions. Because the AquaBounty salmon is farmed in land-based facilities that are close to cities, it only needs to travel a short distance to the grocery store. This cuts down on transportation and, therefore, carbon emissions, from farm to table. Transporting the AquaBounty salmon emits 23 to 25 times less CO2 than the two major sources of US Atlantic salmon. Provide low impact fish farming. AquaBounty has full control over their aquaculture rearing ecosystem. This means they have total control over water input and discharge, sanitation and the ability to recycle resources. Learn more about the process on AquaBounty’s website. Dan Farber’s article, Could FDA’s Approval of GMO Salmon Actually Be Good for the Environment?,” provides some excellent insights. Reporter Tamar Haspel at the Washington Post discusses the environment risks of the GM salmon in this post. 7: Will it create new allergies? No, this salmon will not create new allergies. In fact, no GMO crop on the market today creates new allergies, and rigorous testing ensures they never will. If a person is allergic to a non-GM plant or animal, for example salmon, he or she will also be allergic to the plant’s GMO counterpart. 8: How is GMO salmon contained; will it breed with other salmon? The FDA requires this salmon to be grown in physically contained land-based facilities, further reducing any potential impact or breeding with wild salmon populations. The tanks that house the salmon have netting and screens to prevent escape. All water pipes going into and out of the facility have multiple physical barriers, such as metal screens, filters and pumps that fish cannot pass through. As an added precaution, all modified salmon eggs are female and sterile, making it impossible for them to breed among themselves and with other salmon. 9: What happens next with AquaBounty’s salmon? When can we expect it to be in the stores? Although the FDA has approved this salmon for human consumption, it may take a couple of years before it hits store shelves. There are many production planning requirements that need to be worked out before commencing commercial production. 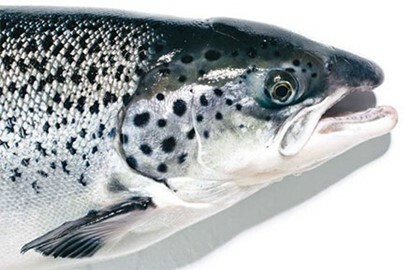 What are the steps in Genetic Modified Atlantic Salmon? If you have any additional questions about this salmon or other GMOs – please ask!